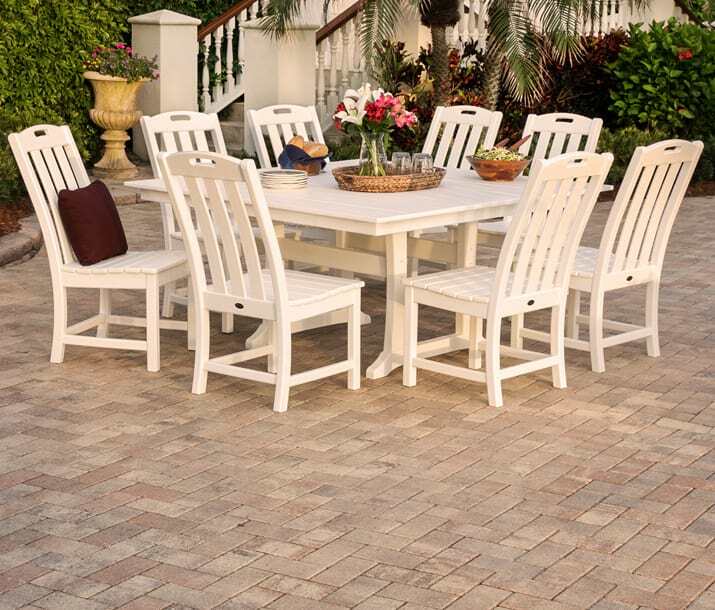 We believe in our product and stand behind its quality and durability, that’s why each piece of Trex® Outdoor Furniture™ comes with a 20-year residential warranty. 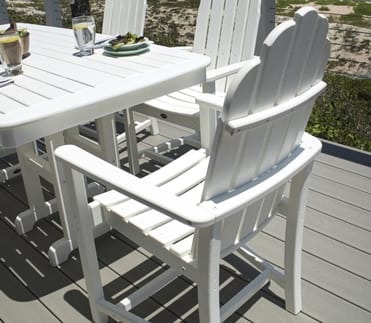 Trex® Outdoor Furniture™ is incredibly low-maintenance, so you can spend your time relaxing in your furniture, not refinishing it. 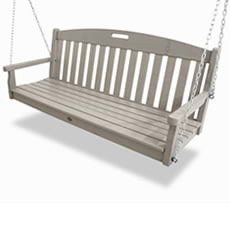 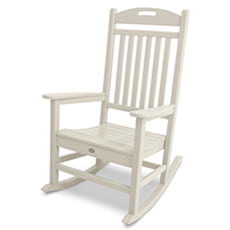 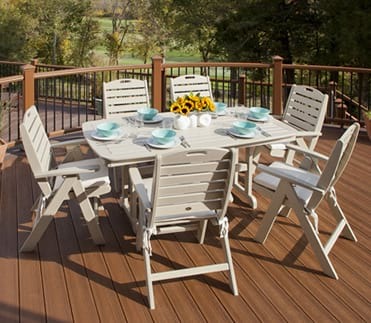 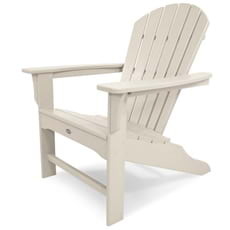 Each piece of Trex® Outdoor Furniture™ is proudly made in the USA. 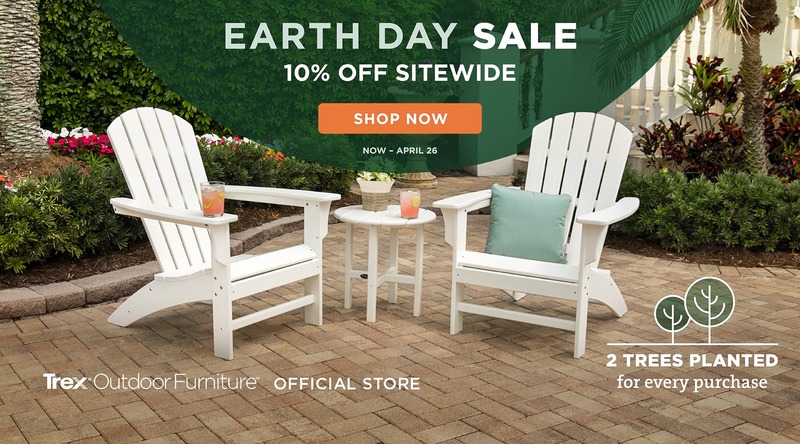 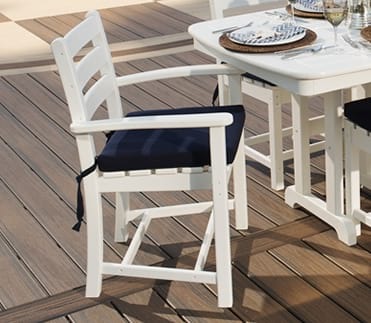 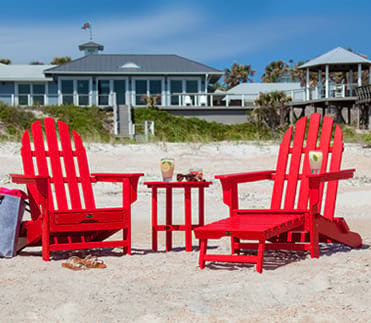 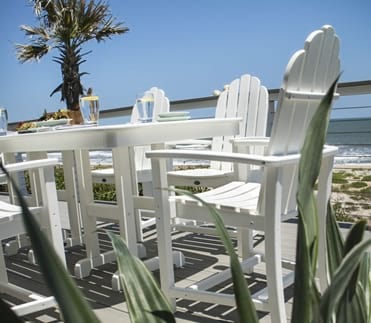 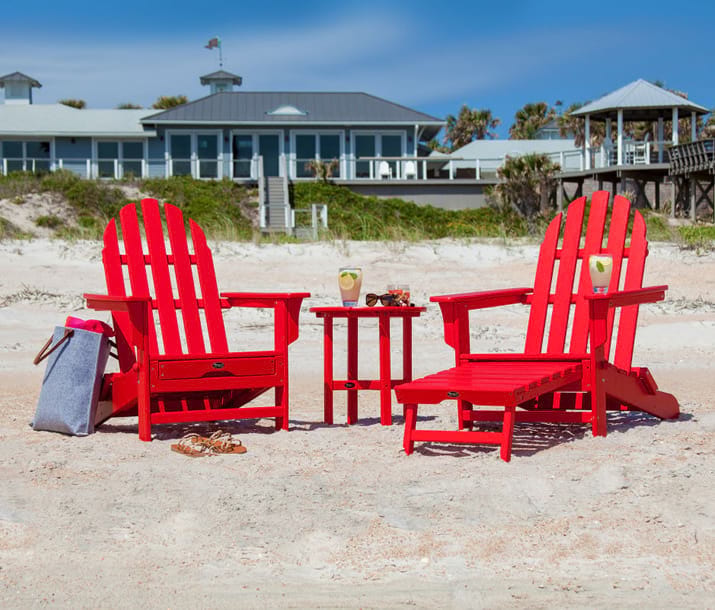 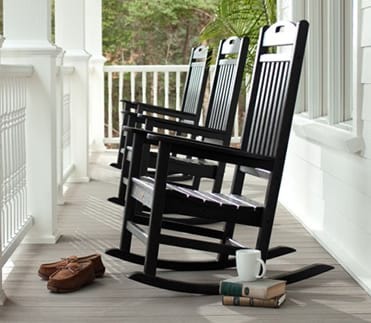 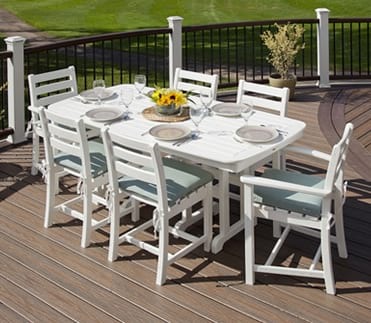 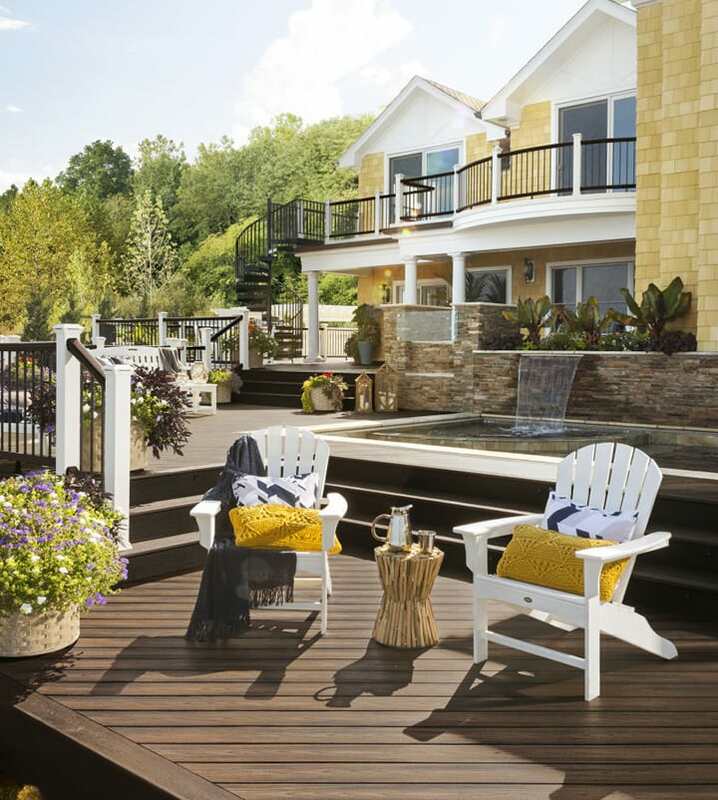 Trex® Outdoor Furniture™ is constructed with genuine POLYWOOD® lumber and ready to stand up to the most extreme weather, including sun, rain, saltwater, and snow. 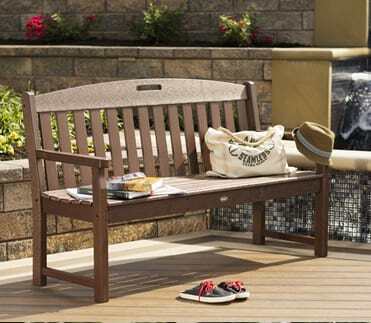 Change up the everyday and discover how comfortable outdoors can be. 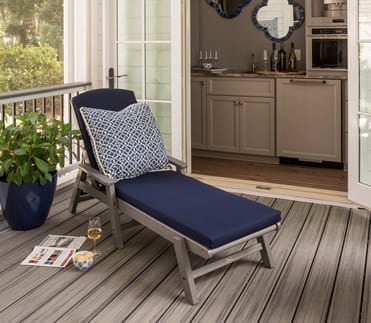 There's really only one way to enjoy the freedom of being outdoors—relaxing in the outstanding comfort and unmatched style of Trex® Outdoor Furniture™. 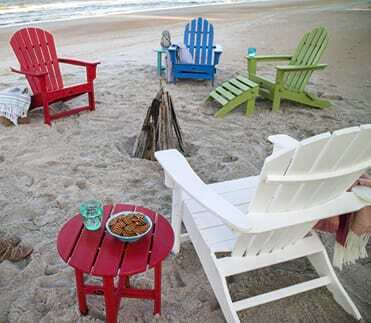 It just doesn't get any better. 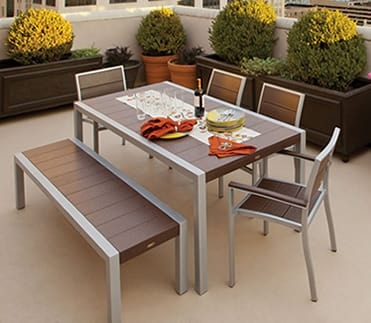 Creating an outdoor living, dining and entertaining space with Trex Outdoor Furniture gives you the freedom to escape all things structured. 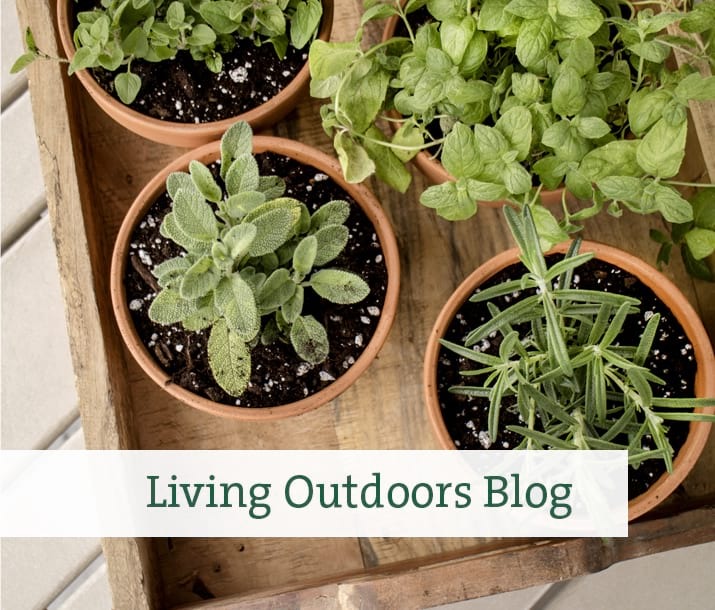 Break away from routines and take those ordinary, everyday activities outside. 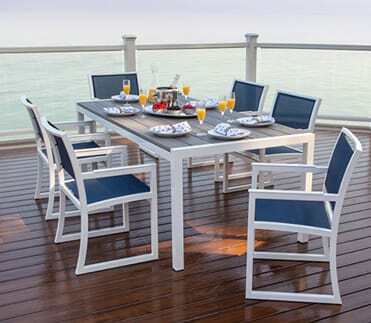 Suddenly, you and your family will find yourselves enjoying the unrestricted boundaries of a whole new comfort zone. 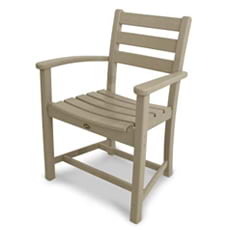 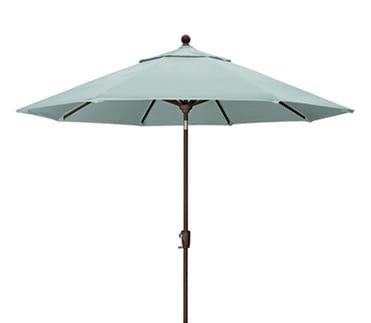 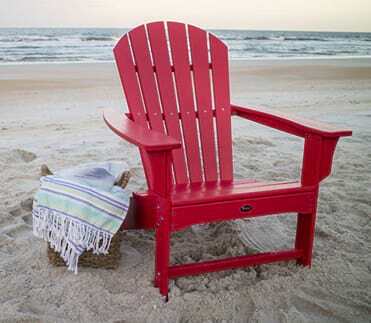 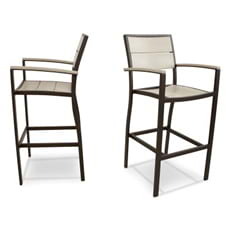 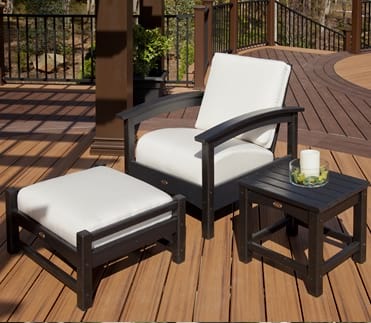 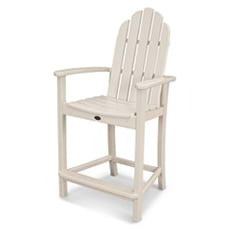 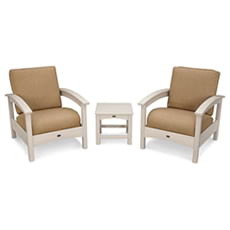 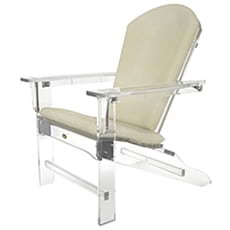 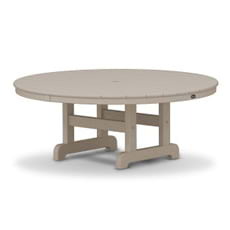 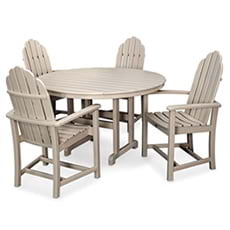 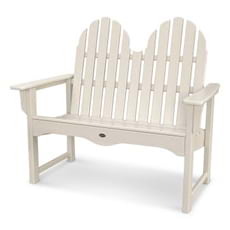 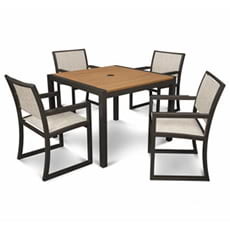 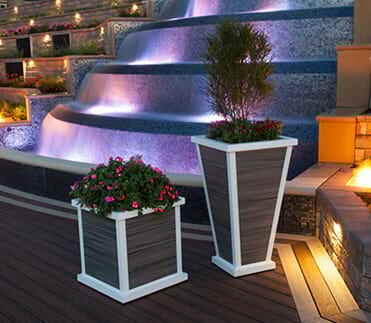 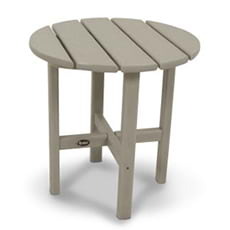 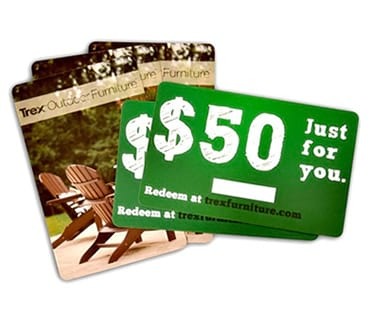 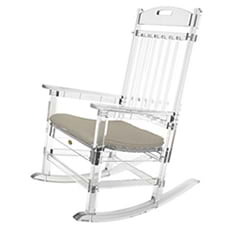 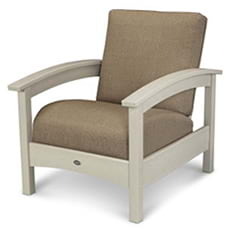 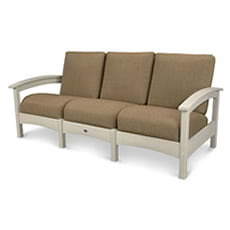 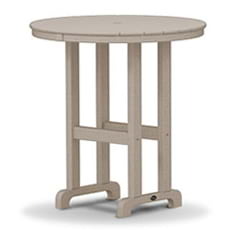 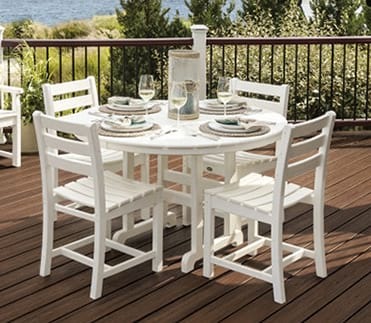 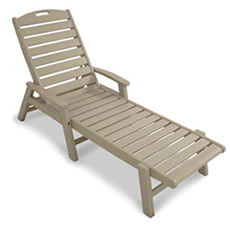 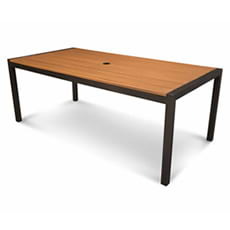 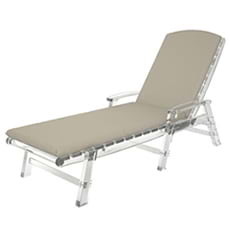 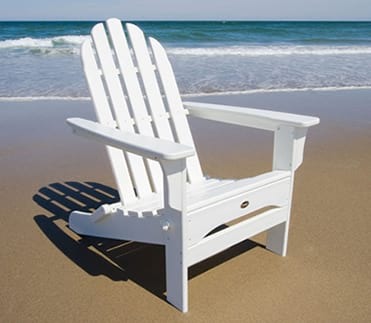 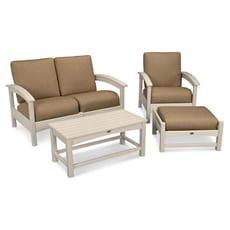 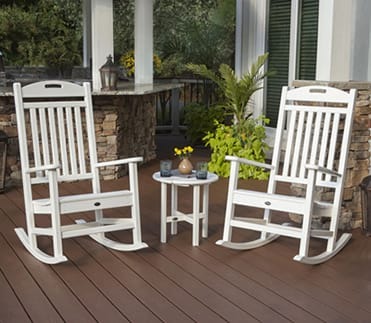 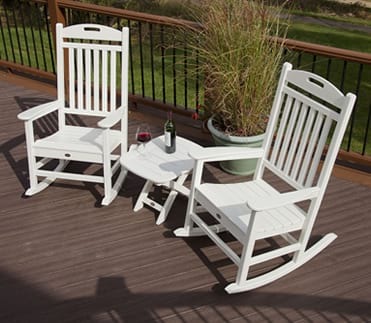 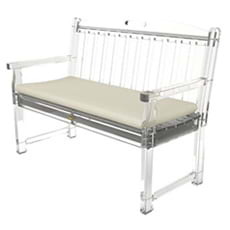 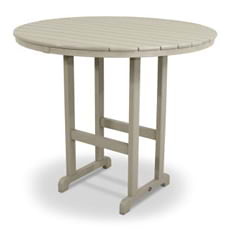 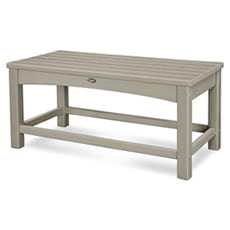 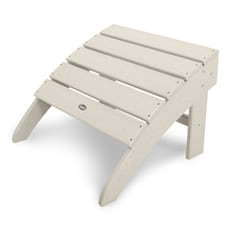 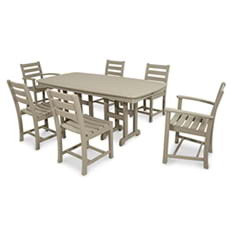 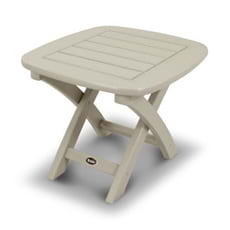 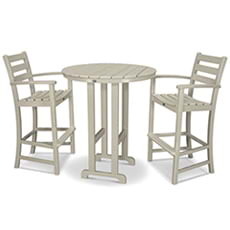 Trex® Outdoor Furniture™ is made with a high-density polyethylene (HDPE). 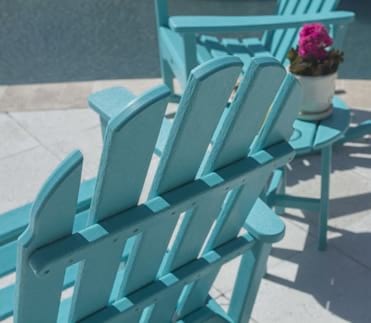 Because HDPE products are made with a single, purified polymer, they are manufactured to exacting, reproducible specifications. 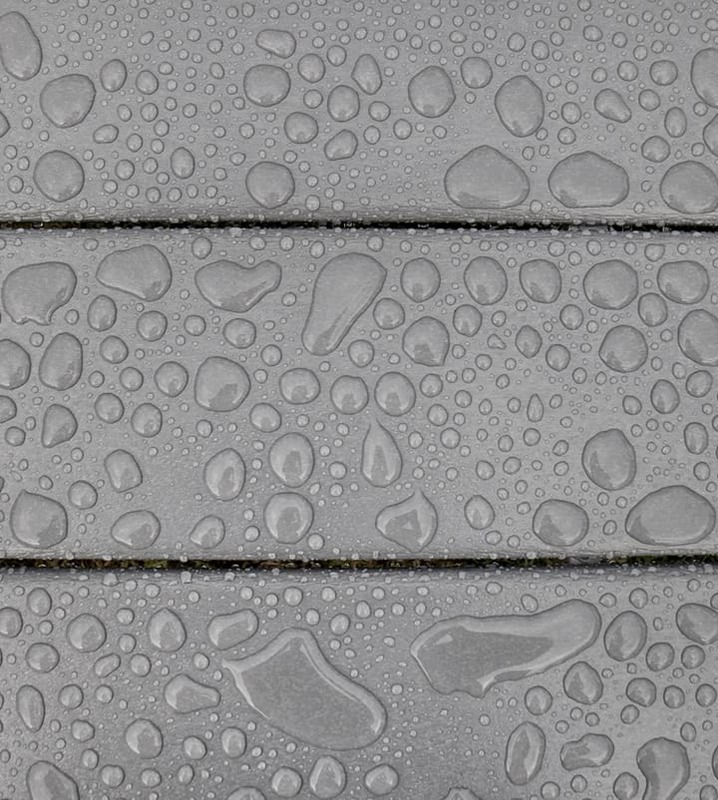 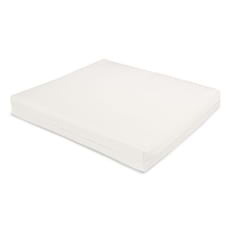 They have exceptional resistance to corrosive substances, oil and fuels, insects, fungi, salt spray, and other environmental stresses. 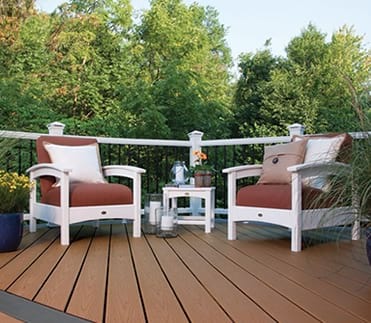 They do not absorb moisture; therefore, they will not rot, splinter, or crack. 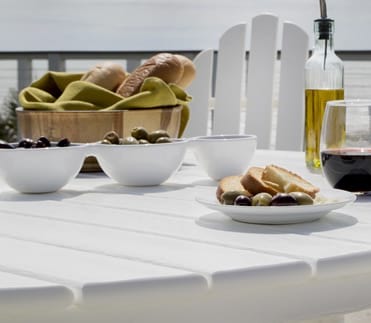 HDPE products have excellent weathering resistance; however, as with other polyolefins, it is possible that the material will fade slightly over the service life of the product. 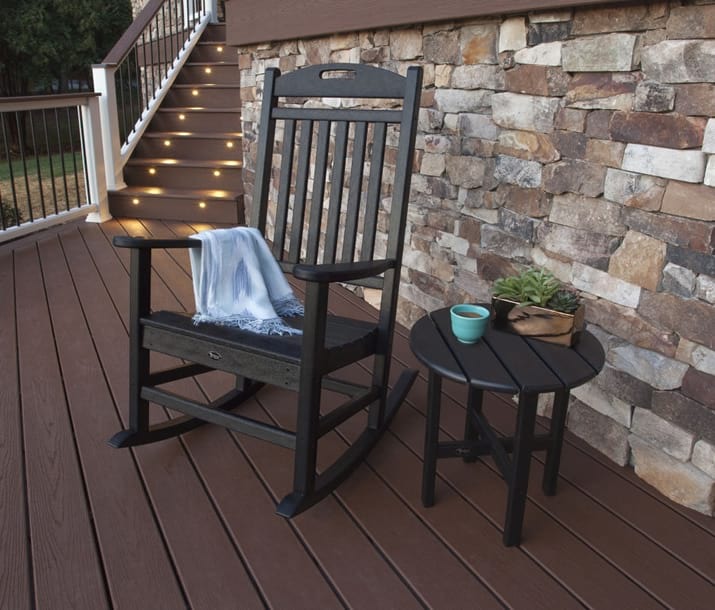 These products require no waterproofing, painting, staining, or similar maintenance when used in many exterior applications.